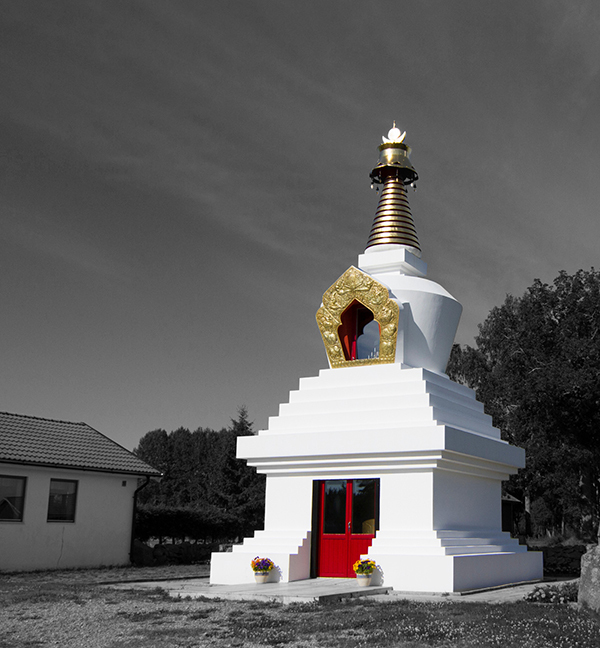 Karma Dechen Ösel Ling was founded in 1980 by Kalu Rinpoche and His Holiness the 16th Karmapa. 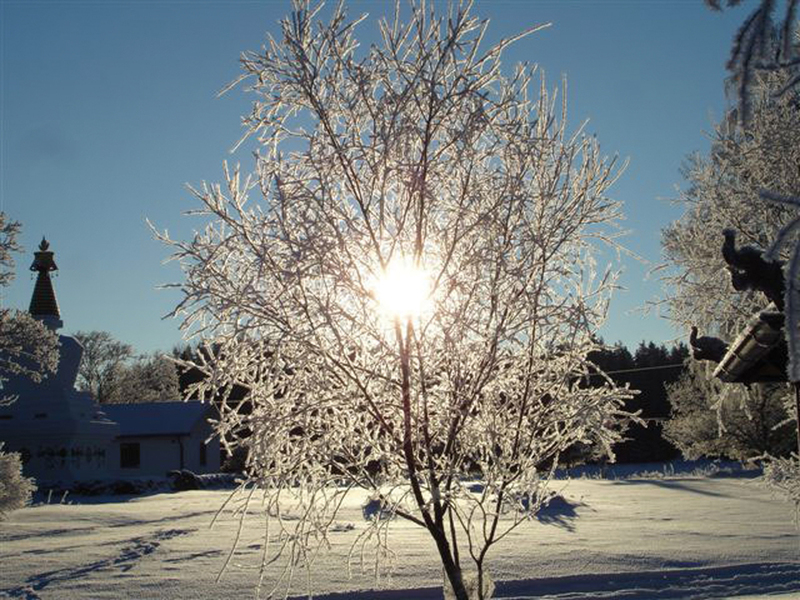 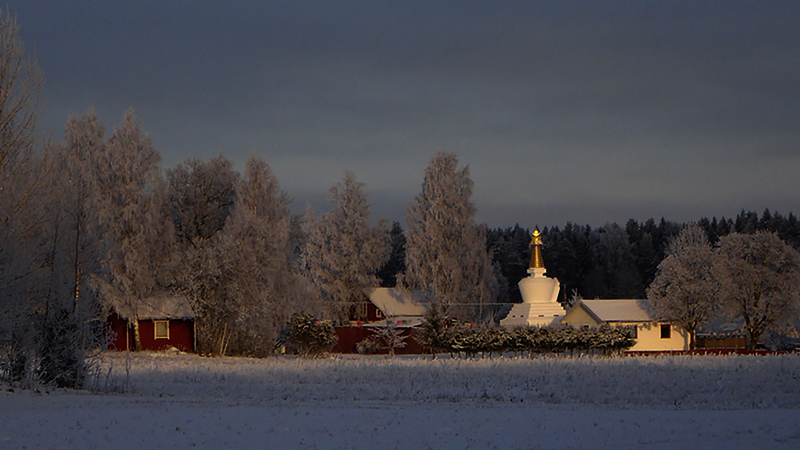 There have been a couple of 3-year retreats since then, as well as many teachings and shorter retreats. 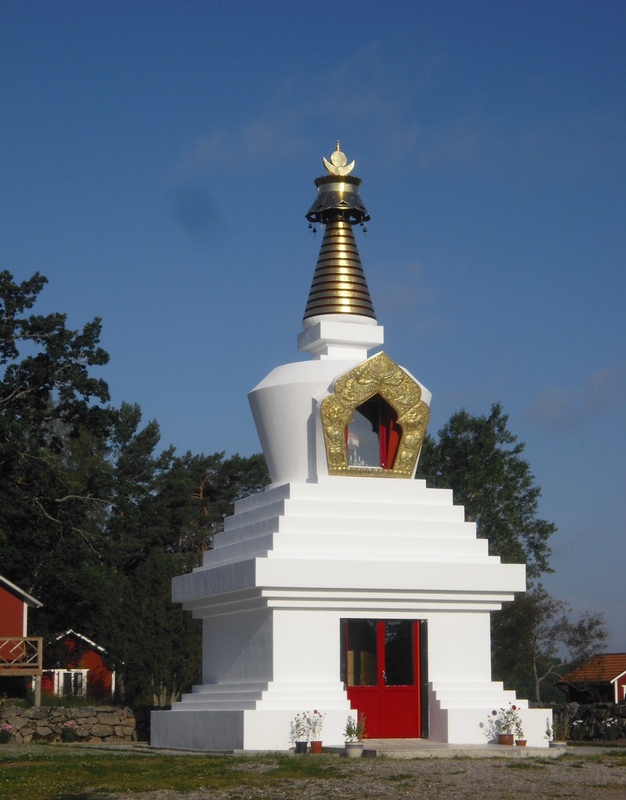 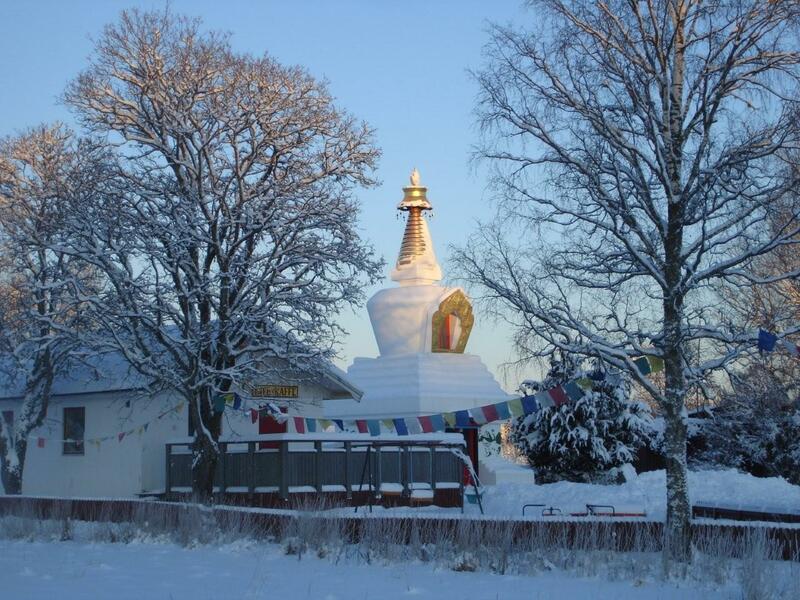 It houses several retreat cottages, an 11 meter Stupa (northern Europe's first) and lies beautifully situated in the countryside.